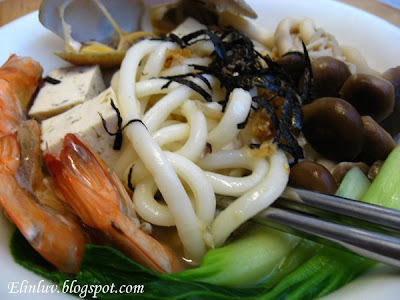 I need something like that...for so LONG that I haven't had good seafood noodle soup, not to mention Udon! been some time since i've eaten mussels, and NEVER once at home. family dun really dig seafood. 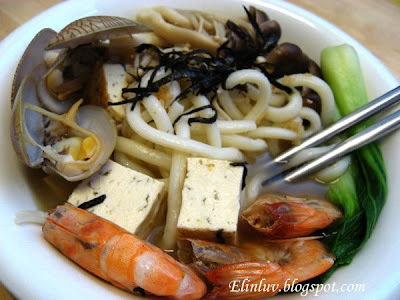 I love the seafood in your udon soup!! I bet it's must taste yummy delicious!! You always make unique and amazing dishes. Less washing afterward-I hear that! This dish looks fantastically delicious. The meal looks absolutely delicious! One pot meals are my favorite also. Yours seems nutritious and wholesome! 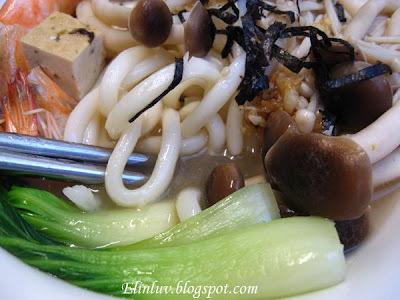 @ Diana Bauman : :) yes..it is nutritious and all in one, simple yet tasty.